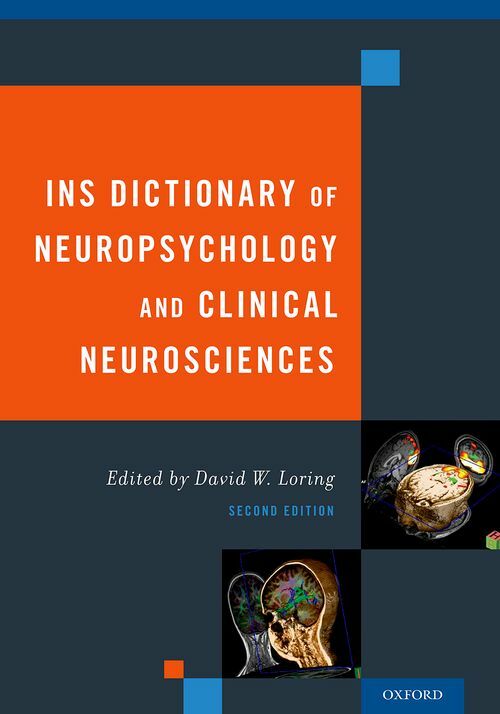 The INS Dictionary of Neuropsychology and Clinical Neurosciences provides concise definitions of neurobehavioral abnormalities, diseases affecting the nervous system, clinical syndromes, neuropsychological tests, neuroanatomy, rehabilitation methods, medical procedures, basic neuroscience, and other important clinical neuroscience terms. Its broad scope not only encompasses the approaches, perspectives, and practice settings of neuropsychology, but also extends to the related disciplines of pharmacology, neurophysiology, neurology, neuropsychiatry, and experimental and cognitive psychology. The Second Edition expands on the content of the First, emphasizing the methodology necessary to critically evaluate research publications according to the highest clinical standards involving evidence-based practice. In addition to definitions, the INS Dictionary includes other information relevant to neuropsychology: abbreviations and acronyms that appear in medical charts and in clinical literature, the origins of specific terminology and how concepts developed, and biographical information on individuals who have influenced the understanding of syndromes, diseases, and anatomy. Although definitions for most terms are readily available on the Internet, the INS Dictionary presents definitions with a neuropsychological perspective with relevance for neuropsychologists more clearly identified. The INS Dictionary is also conceptualized as an active textbook; entries were derived from a variety of sources ranging from grand rounds to scientific literature and professional neuropsychology conferences. The wide variety of terms that have been specifically selected for inclusion makes the INS Dictionary a valuable resource for neuropsychologists and clinical neuroscientists at all levels. David W. Loring obtained his Ph.D. at the University of Houston, and is Board Certified in neuropsychology by the American Board of Professional Psychology/American Board of Clinical Neuropsychology. He is a Fellow of the American Psychological Association and the National Academy of Neuropsychology, and has served in an advisory role for a number of professional and research societies, including the Board of Governors for the International Neuropsychological Society, the Professional Advisory Board for the Epilepsy Foundation, and the NINDS Epilepsy Common Data Elements project. Dr. Loring is an associate editor for Epilepsia, and a member of the editorial boards for Neuropsychology Review and Epilepsy Research. His clinical research emphasizes cognitive and behavioral effects of epilepsy including treatment intervention effects, and has active research support from PCORI and NIH/NINDS.